FIFA ordered the African zone Group D game, which South Africa won 2-1, to be played again this November after referee Joseph Lamptey lost his last bid to overturn a life ban. South Africa looks set to launch an appeal against a FIFA decision to order a replay of last November's 2018 World Cup qualifier against Senegal after the referee was found to have manipulated the result. World football's governing body on Wednesday ordered the African zone Group D game, which South Africa won 2-1 in Polokwane, to be played again this November after referee Joseph Lamptey lost his last bid to overturn a life ban. He was sanctioned in March by FIFA after it was found he had contrived to engineer that South Africa won the game. No details of how he was manipulated have been given by FIFA but South Africa has denied any involvement. The Ghanaian official handed South Africa a dubious penalty for a non-existent handball and then allowed another goal to stand shortly thereafter from a quickly-taken free kick while he was still ordering Senegalese defenders to retreat. Lamptey appealed against his ban and took the matter to the Court for Arbitration in Sport, which has upheld the FIFA decision, leading to Wednesday's ordering of a replay. "SAFA is studying the contents of the report and will issue a statement on intentions to challenge that decision," the South African Football Association said in response on Thursday. Previously SAFA president Danny Jordaan said ordering a replay would set a dangerous precedent. "We will not accept it," he told reporters in May. "If you must start replaying matches where referees make mistakes we will still be playing the league. "That referee was appointed by FIFA, that is a FIFA match, it's not our match so they must deal with their referee and that is end of story. It's not our referee, we did not appoint him and we won the match." "Our position is that the referee's decision is final. Referees make so many mistakes. Maradona scored with the hand and then became world champion. "So many things. Thierry Henry played the ball with his hand and scored and qualified to come here to the 2010 World Cup," Jordaan added. FIFA will decide next week on the exact date for the replay but it will be played in the November window for internationals when South Africa is already scheduled to visit Senegal for their last group game. By nullifying the original result, South Africa slumps even further down the standings and effectively now has a single point from three matches. Senegal has five points. Both trail co-leaders, Burkina Faso and the Cape Verde Islands, who have six points each but from four matches. Only the group winner qualifies for next year's World Cup in Russia. 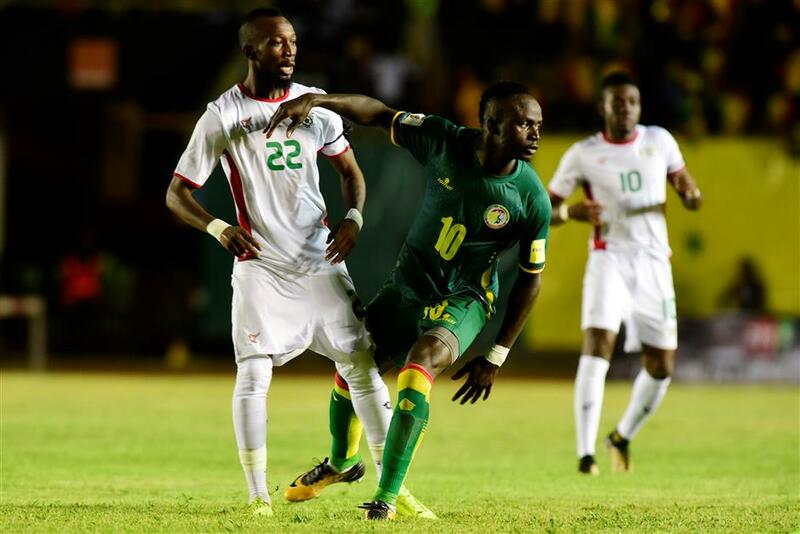 Senegal's Sadio Mane (center) vies for the ball with Burkina Faso's Ibrahima Toure Blati during their 2018 World Cup qualifier at the Stadium Leopold Sedar Senghor in Dakar on September 2, 2017.